Play Slots and/or Tables using your Blackrock Rewards card, earn points to qualify for draw tickets where you stand a chance to win your share of over R100,000 in Cash and Prizes. The choice is yours… Take the deal or take the chance and play the Cash Mystery game? Tickets may be entered from 08h00 on the day of the draw. Each participant drawn will have the opportunity to choose from the three boxes on stage every hour. The order in which each contestant was drawn will determine the order in which they choose a box. 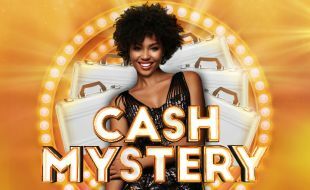 After choosing their box they can reveal what they have won (cash prize) with or without the opportunity to play “The Cash Mystery Game”. Each hour only one contestant is eligible to win the prize and get to participate in “The Cash Mystery Game”. Should the contestant select prize accompanied with “The Cash Mystery Game” the MC will then introduce the game. There will be 6 podiums on the stage with 6 suitcases, inside each of the suitcase there will be a description of the prize /cash value when revealed. MC will prompt the contestant to choose one of the six suitcases, once the contestant has chosen the suitcase the MC will then offer incremental values from what the winner has already won to “buy back the suitcase”. Should the contestant want to remain with the suitcase after numerous attempts by the MC to buy back the suitcase and if the MC has reached the maximums in bargaining, the MC will then prompt the promoter on stage to open the case to reveal what the contestant has won.